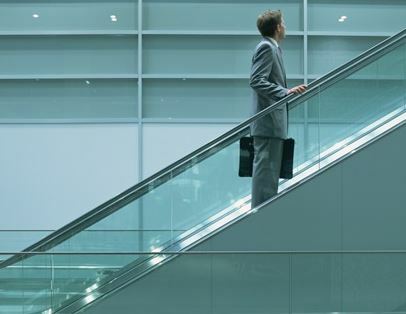 Will women ever reduce the Glass Escalator effect? The “glass ceiling,” a term used to describe women’s inability to advance in their career and receive equal pay as men solely because of their gender, has plagued working women for decades. Although we are now living in a society where we are seeing more and more professional, career women, a very large inequality gap still exists. In fact, women currently earn 77% of what a man does for the same job with the same qualifications — a relatively small increase from the 64% that women would earn in 1951 according to infoplease.com. To put it simply, a women earns 77 cents for the same job that a man would do for a dollar. To put some reason behind these staggering facts, many higher-ups and managers feel less inclined to promote women on the basis of career interruptions, such as raising a family. In addition, typical managerial and boss stereotypes typically match the qualities of a stereotypical man, such as assertiveness, which perpetuates this cycle. This societal stereotype that works to the benefit of men continues to place a stigma upon most working women, even those who do not have a spouse or children. What do you think of the glass escalator? Have you ever experienced job inequality in your workplace?